This is the one Black Friday Sale I look forward to every year. 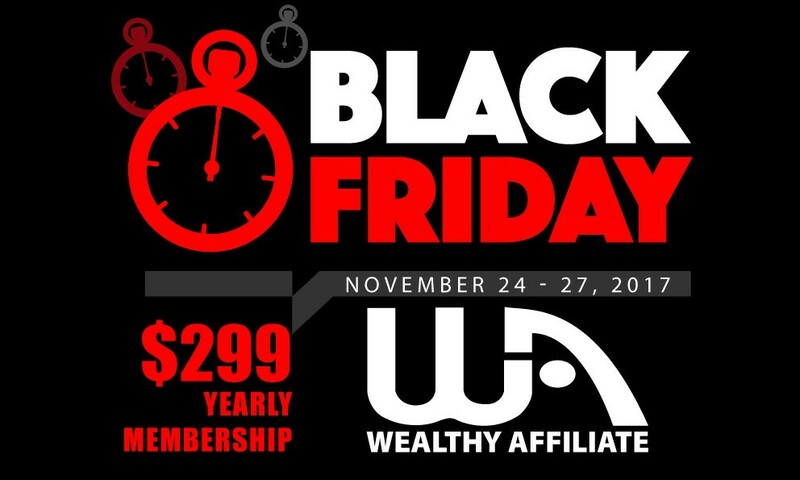 You see, when I started out as a blogger I knew Wealthy Affiliate was the right place for me to learn everything I needed to learn. Yet I couldn’t afford to pay Wealthy Affiliate’s annual fees. Actually, at first, I couldn’t afford to pay any fees at all so I joined up on their FREE Starter Membership and started doing their FREE Training and building my FREE websites. In a couple of months, I upgraded to Premium Membership. 7 months later, when Black Friday 2016 rolled around, I was still not earning enough to pay the Annual Membership. (See how long it took me to start making money). I begged my husband to believe in me and sponsor me for ONE YEAR. THANKFULLY, he did!! 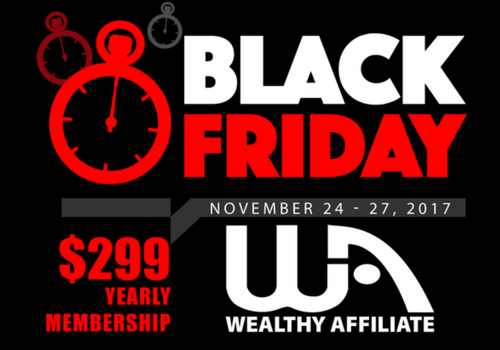 This year I am pleased as punch to announce that I have earned enough from my blogs to pay my Black Friday Membership myself.